Provide comfort for the family of Evelyn Mable Griffin with a meaningful gesture of sympathy. 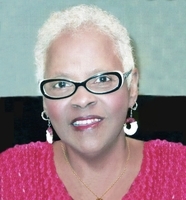 Mrs. Evelyn Mable Brown Griffin, 73, of Greenville, South Carolina, passed on Tuesday, February 5, 2019, at McCall Hospice House. She was the daughter of the late Horace and Birdie Lee Brown Scott. Surviving are her husband, Len Griffin of the home; two daughters, Tina Renee Brown and Pamela (Ed) Chandler, both of Greenville, SC; one son, William (Reimonda) Chandler, Jr, of North Augusta, SC; four grandchildren; eleven great-grandchildren; two great-great-grandchildren; and a host of other relatives and friends. We encourage you to share your most beloved memories of Evelyn Mable here, so that the family and other loved ones can always see it. You can upload cherished photographs, or share your favorite stories, and can even comment on those shared by others. I am very sorry to read about the loss of your loved one, Ms. Griffin. At John 11:25, Jesus brought comfort to Mary, Lazarus’ sister with these words. During this sad time for your family I hope you will find comfort in the certainty that soon we can look forward to a resurrection of the dead and have the opportunity to see our loved ones again.